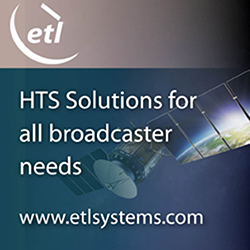 The advent of bulk HTS satellite capacity has changed the satcom game. Irreversibly. What started as an alternative to FSS, an innovation with frequency re-use spot beams, has become mainstream and dictated price changes for at least the past two years. Sixty percent wholesale price drop across HTS verticals, most prominently for backhaul and consumer broadband, is a telling factor for any industry. The data market is striving to achieve the holy grail of telecom pricing through capacity supply acceleration, led by players like ViaSat, Hughes, SESand upcoming LEOs, among others. Compared to the addition of 600 Gbps in the first 10 years, the above companies will add more than 4.5 Tbps in the next three years alone till 2021. The competition increases, but so does projected demand. And as demand increases, supply accelerates and takes advantages of lower cost/Gbps per satellite to register consumer focused pricing. However, satcom pricing is not telecom pricing yet. The speed/data package one receives for $50/month through satellite (~5GB) is still incomparable to telecom packages (~100GB to “unlimited”) of the same price. The economics are even more challenging in developing countries. So how does satellite compete in countries where a couple of cents on the dollar are needed to even justify an Internet connection? Can price as low as $2/month generate consumer demand in rural areas or small towns that are not connected with fiber? Learn more here.